Whether your hair is long or short, curly or straight, every woman dreams of having a luscious and healthy mane. Unfortunately, some of us are born with hair that is dull, dry, and frizzy by nature. And even if you were born with healthy, lustrous hair, dealing with dryness is inevitable when your hair is constantly battered by heat styling tools, chemical treatments, and pollution. When dealing with dryness, a good place to start is to raid your kitchen for some cost-effective and natural hair care ingredients. Using ingredients from your pantry is not only convenient, but it also gives you the same, if not better, results as high-end hair treatments with none of the chemicals. While it may take longer to see results, your hair will thank you in the long-term. Following are 24 of the best hair treatments that you can whip up in your kitchen for conditioned, healthy, and manageable hair. 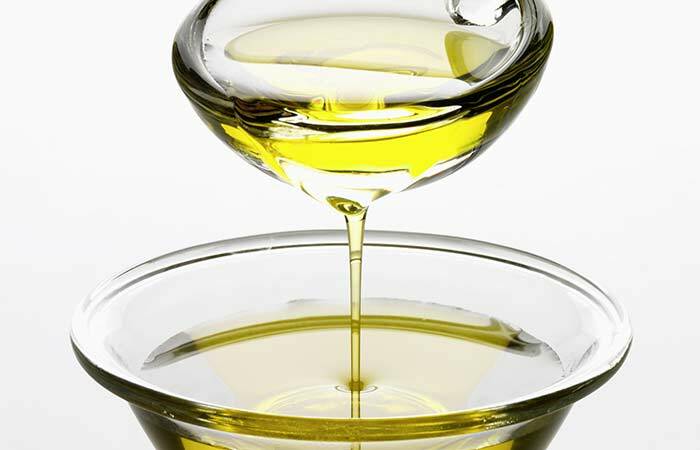 Hot oil treatments are one of the simplest and most effective remedies for dry hair. The best part about a homemade hot oil treatment is that you can make custom blends to suit your hair type. 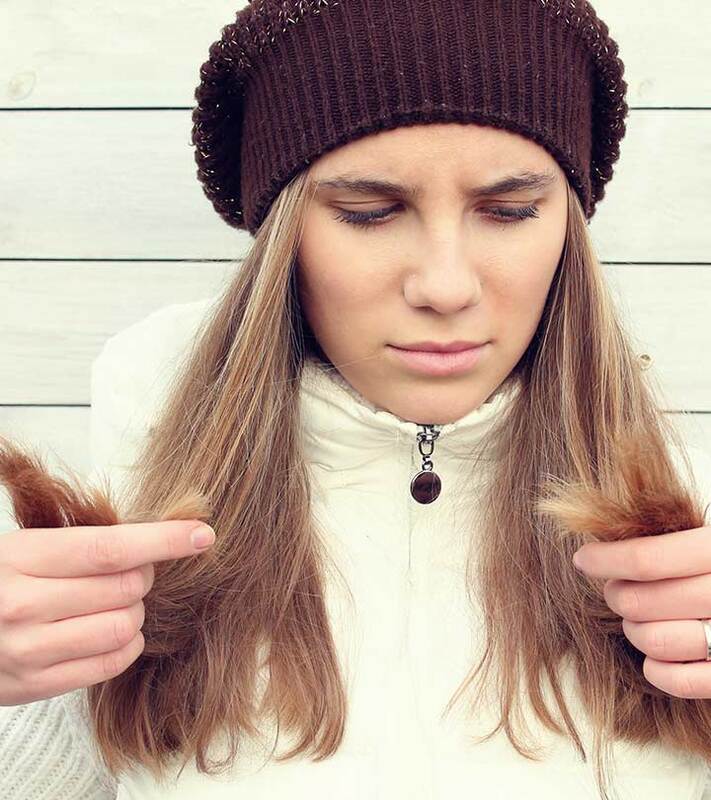 Don’t overheat as it will end up damaging your scalp. Make sure it’s lukewarm, not hot. Massage hair with this oil mixture and wrap it up in a towel. Unwrap after 30 minutes and wash with a mild shampoo. Using this treatment once every seven days will give you softer, shinier, and healthier tresses. Egg yolk is another wonderful dry hair remedy. It conditions your hair shafts and keeps them moisturized. Take two eggs and separate the yolk from the whites. Add three tablespoons of water and beat until the mixture is slightly fluffy. Apply all over your hair and wait for 30 minutes before washing. Use cool water to wash your hair. This keeps the egg from “cooking” and controls the smell. You’ll be surprised at the instant shine in your hair. Beat two raw eggs in a medium-sized bowl. Add one tablespoon of honey and two tablespoons of yogurt. 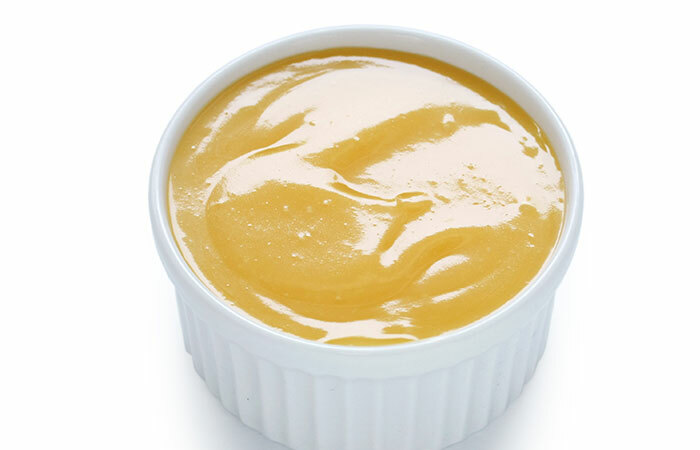 Mix until you get a smooth, creamy paste. Apply this mixture to your hair and leave it on for at least 20 minutes. This pack nourishes your hair while conditioning it. 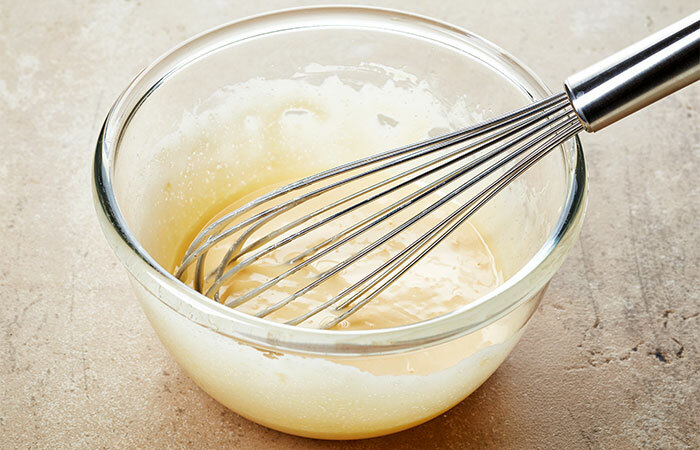 Mix two tablespoons honey with two tablespoons vegetable oil to make a sticky paste. Apply the mixture to your hair as you would a mask and wrap it with a plastic shower cap. After 15 minutes, remove the cap and shampoo. The moisturizing property of honey will give you soft and super smooth tresses. If your hair is dull and dry, this mask will restore shine and nourish your hair. 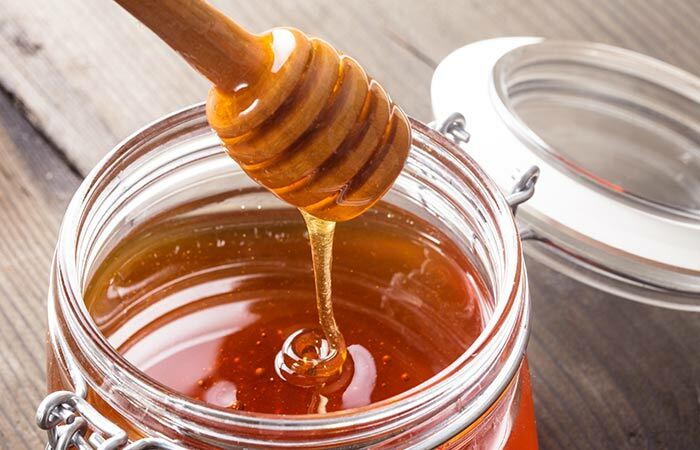 Honey is an amazing natural emollient that seals moisture in you hair shafts. 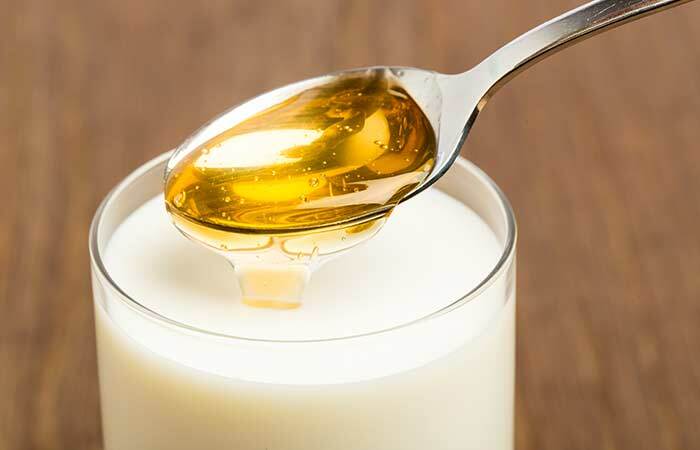 Take a cup of rice milk and add two teaspoons of honey. In a bowl, mix the ingredients until it is consistent. Spread the mixture over your hair and allow it to sit for 10-15 minutes. This is an excellent way to get lustrous hair in minutes. You will also love the smell of your hair once it’s dry. 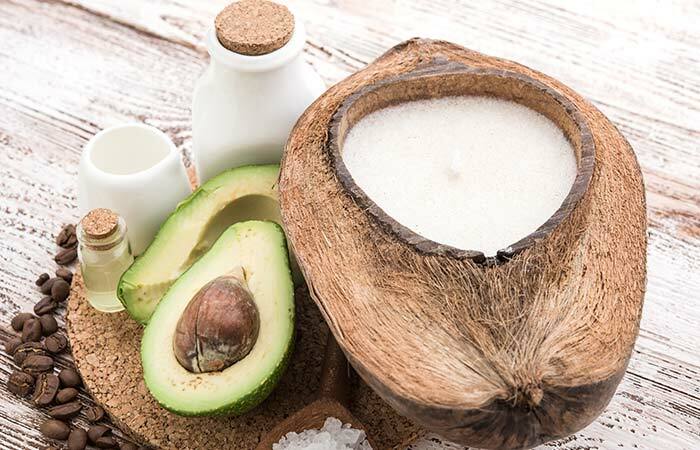 When it comes to sealing moisture in your hair, the efficiency of avocado can never be ignored. Bananas can increase the elasticity of your hair shafts and make them stronger and softer. 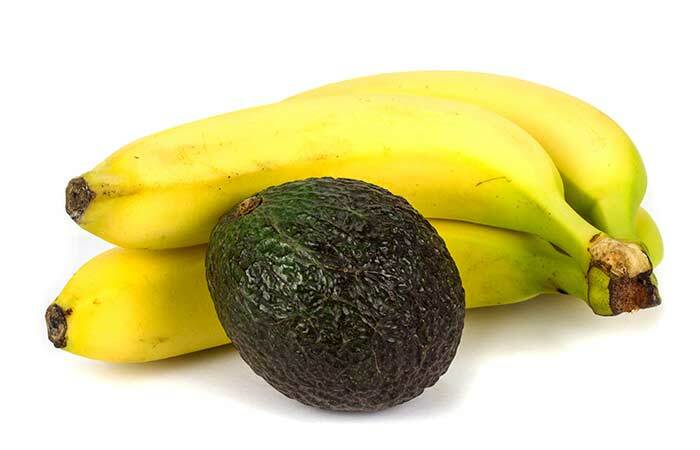 Mash the banana and avocado together until the mixture is free of lumps. Apply the mixture to your hair and let it sit for at least 30 minutes. Wash off with cool/lukewarm water. Both these ingredients contain natural oils that condition your hair while nourishing your scalp and hair. For those who want to condition the hair to make it smooth, soft, and manageable, mayonnaise could be the best ingredient to use. 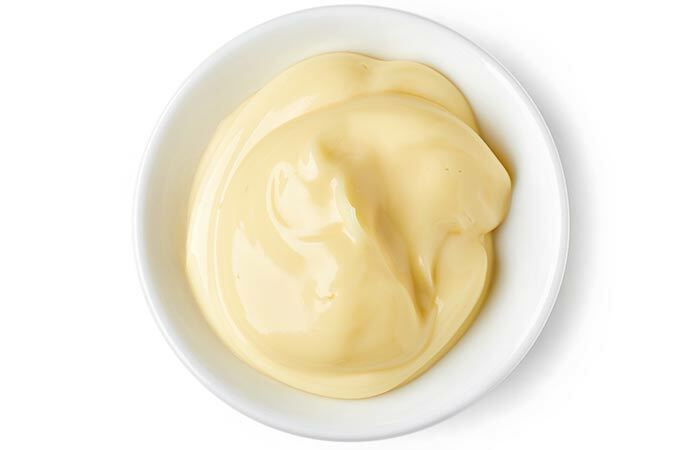 Mayonnaise contains L-cysteine, a powerful antioxidant that provides strength, shine, and volume to your hair. It is very beneficial for dry and damaged hair. Whip the mayonnaise well until it is slightly fluffy. Wet your hair and apply it along the length of your hair, concentrating more on the damaged parts of your hair. Cover up your hair with a shower cap and keep for 30 minutes. If you want an instant remedy that does not need much preparation, go for a full-fat mayonnaise massage. This dry hair treatment is highly recommended by hair stylists and can easily be done at home. 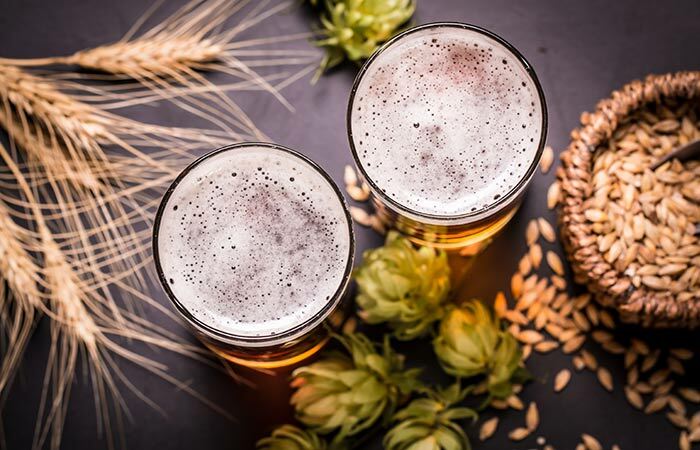 Mix the beer with two cups of water and set it aside in a jug. Use the diluted beer as a final rinse to pour through your hair. Do not wash again and allow your hair to dry naturally. Using this beer rinse once a week will keep your hair conditioned and shiny. 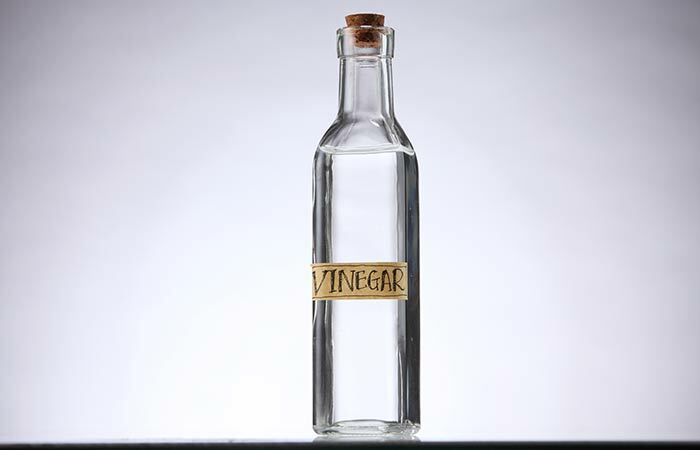 The acidic nature of vinegar helps balance out the pH of the scalp, normalizing oil production. This is good for combination hair when used with a conditioning hair pack. Use a conditioning hair pack and then rinse the pack out of your hair. In a bowl, dilute your shampoo and vinegar and use this to wash your hair. This remedy helps tackle the oiliness at the roots of your hair while adding shine to the freshly conditioned hair shafts. Honey is a humectant, which means that it binds moisture to your hair shaft, keeping it conditioned. In a bowl, combine the ingredients to get a consistent mixture. Apply this to your hair, starting from the roots and working your way down to the tips. Concentrate on the tips of your hair as they are the driest parts. Leave it in for 20 minutes and then rinse it out with shampoo. Alternatively, you can dilute a teaspoon of honey with two cups of water and use it as a hair rinse. 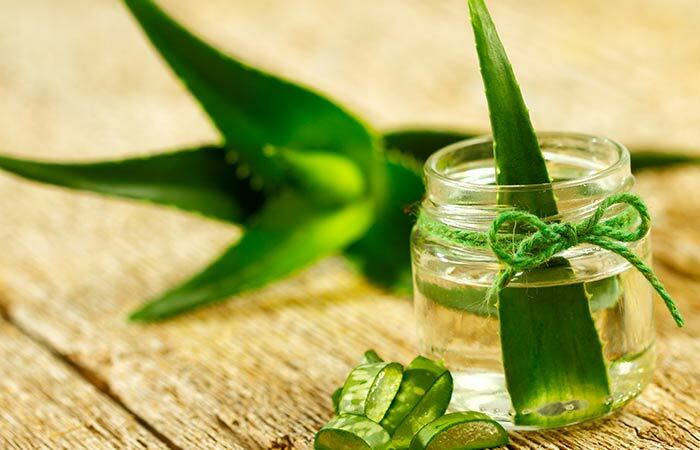 Aloe vera is one of the best ingredients you could use for repairing damage and dryness. It also boosts scalp health and encourages healthy hair growth. In a bowl, combine all the ingredients until you get a consistent mixture. Section your hair and start applying the hair pack from the roots of your hair to the tips. Leave the pack in for half an hour and then rinse it out with lukewarm water and shampoo. This pack works well for dry as well as combination hair types. It leaves your hair feeling soft, luscious, and healthy. 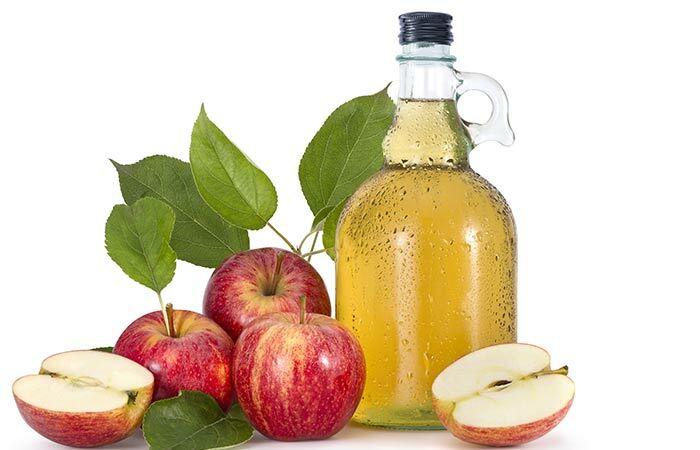 ACV has myriad benefits. It can be used to treat zits, clarify the skin, and even remove product build up from your hair. Use the diluted ACV as a final rinse. Using an ACV rinse once every fortnight will help keep your hair clean, soft, and silky. 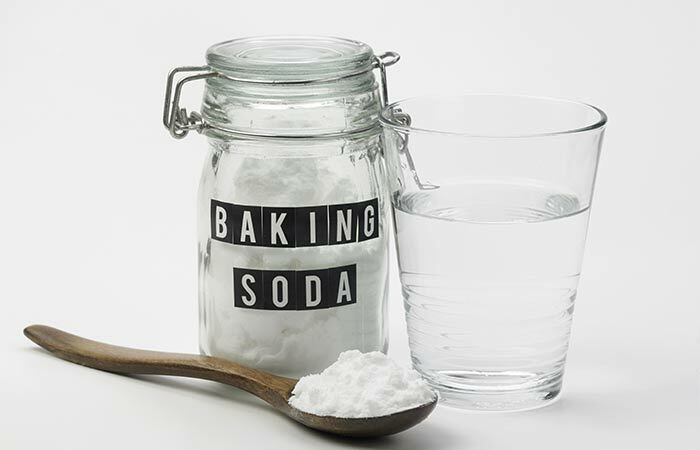 Baking soda removes impurities and excess product build up in your hair. It closes the hair cuticles as it is alkaline in nature. Dry hair attracts a lot of dirt and a thorough cleansing is necessary to maintain its health. Combine the ingredients in a bowl and set it aside. Pour the diluted baking soda through your hair as a final rinse. Add the baking soda to your shampoo. Make a thick, smooth paste with baking soda and water and comb it through your hair, followed by a thorough rinse and wash.
Another way to use baking soda to treat dry hair is to substitute the water with an egg. Simply beat some baking soda into an egg and apply the mixture onto your hair. Leave it in for 15 minutes and then wash it out with a mild shampoo. Use baking soda once every month to clarify your hair. This remedy works especially well for people with combination hair. 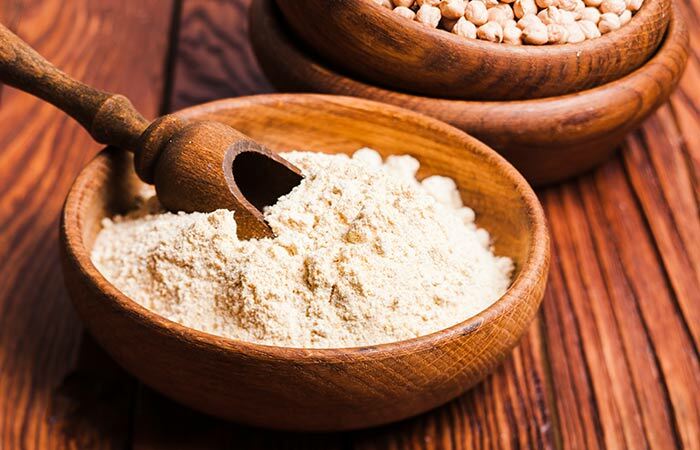 Gram flour is one of the most common ingredients used in hair and skin care. In a bowl, combine the ingredients. Ensure that there are no lumps. Apply this mixture to your hair, starting from the roots and working your way down to the tips. Put your hair up in a bun and wait for 15-20 minutes. Wash your hair with lukewarm water and a mild shampoo. This pack will help remove impurities from your hair while conditioning it and making it soft and silky. Use it once a week for best results. 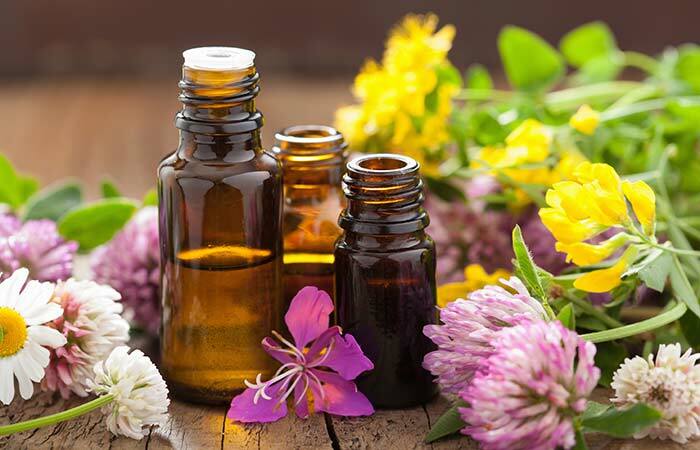 Adding essential oils to your hair care regime can be extremely therapeutic. Essential oils such as lavender or rosemary carry various beneficial properties that help condition your hair while maintaining scalp health. Combine all the oils in a bowl and heat for a few seconds until the blend is slightly warm. These hot oil massages replenish the moisture in your hair and also improve the circulation of blood to the scalp. The castor oil in the mix helps with hair growth. Avocado contains oils that mimic the natural oil produced by your scalp. It contains minerals, proteins and vitamin A, D, E, K, and B, which repair and replenish dry and damaged hair. To the mashed avocado, add the half cup of coconut milk. Mix until you get a smooth paste. Apply this pack to your hair, starting from the roots and working your way down to the tips. Leave it in for 45 minutes to an hour and then rinse it out with cool/lukewarm water and a mild shampoo. This is one of the most conditioning hair packs you can use to repair dry and damaged hair. 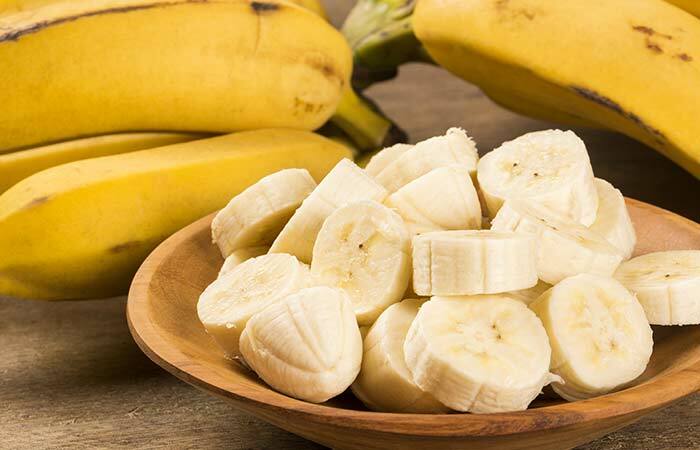 Bananas are rich in potassium, which is an essential hair care mineral. It keeps your hair healthy and improves its elasticity. Mash a ripe banana until it is completely free of lumps. Apply the mashed banana to your hair and leave it in for 45 minutes to an hour. Wash it off with cool/lukewarm water and a mild shampoo. This pack can repair dry and damaged hair. The restored elasticity from regular use means reduced breakage and damage. 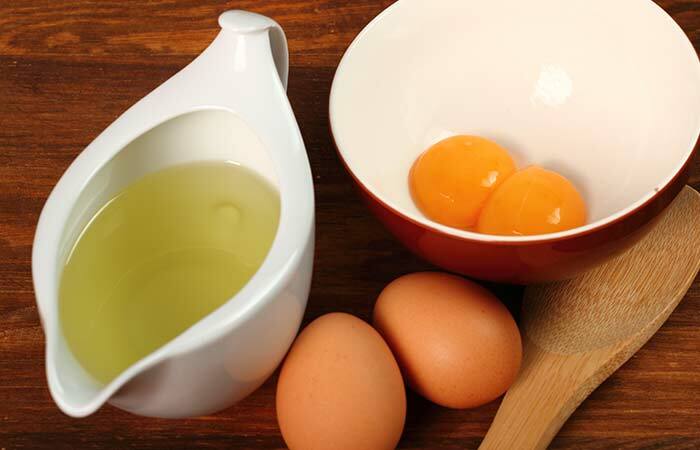 Egg yolks are an amazing remedy for dry and fragile hair. Whisk the egg yolks until they are slightly fluffy and then add the oils to it. Wash your hair and squeeze out the excess water. Start applying the egg mixture to your hair from the roots to the tips. Leave the mixture in for 10 minutes and then wash it off with cool water. You will have to use this treatment for dry hair at least once a week to get the desired results. Add lemon juice to this mixture for dealing with issues such as dandruff or an aggravated scalp. 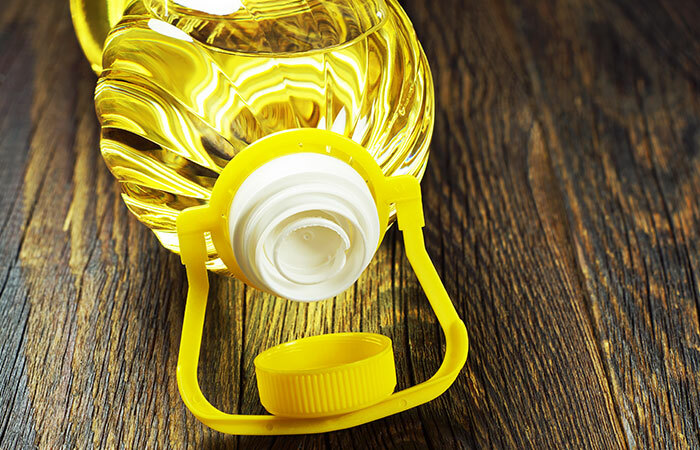 Olive oil is a natural conditioner that is available in most kitchens. 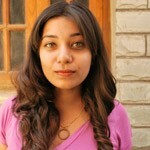 It is light and conditions your hair without weighing it down. 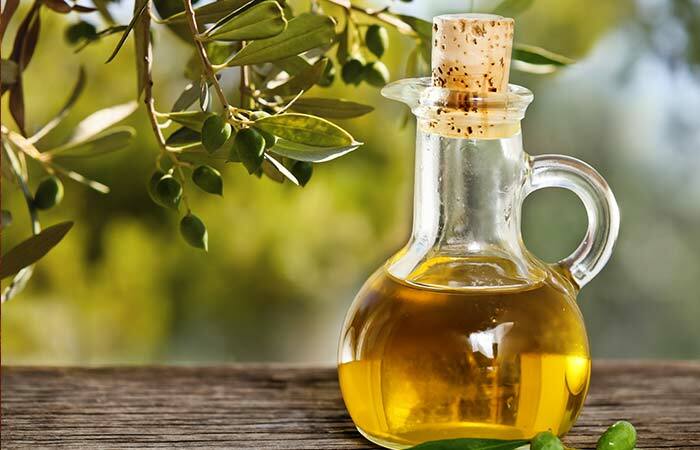 Take 2 tablespoons of olive oil and start to gently massage it into your scalp. Next, work the oil into your hair and focus on the tips. Leave the oil in for at least 30 minutes and then wash it off with a mild shampoo. You can also massage the olive oil into your scalp and leave it in overnight to get maximum results in terms of conditioned hair. 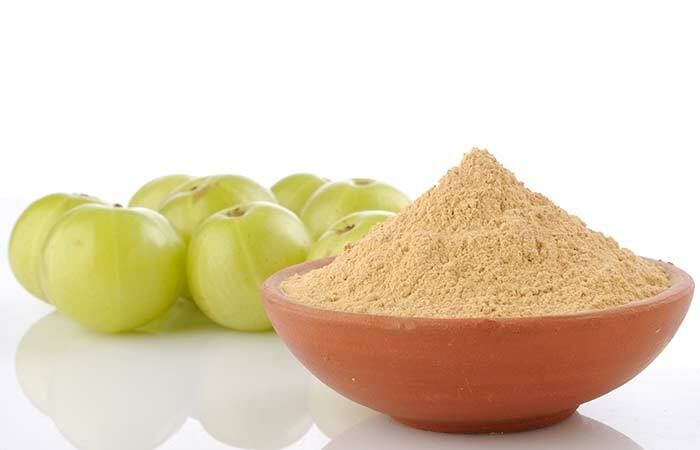 Indian gooseberry or amla can do wonders for dry hair. It not only conditions your hair but also nourishes it. Mix the ingredients in a bowl until you get a consistent paste. Apply this to your hair, starting from the roots and working your way down to the tips. Leave it in for 10 ten minutes and then rinse it out with cool/lukewarm water. 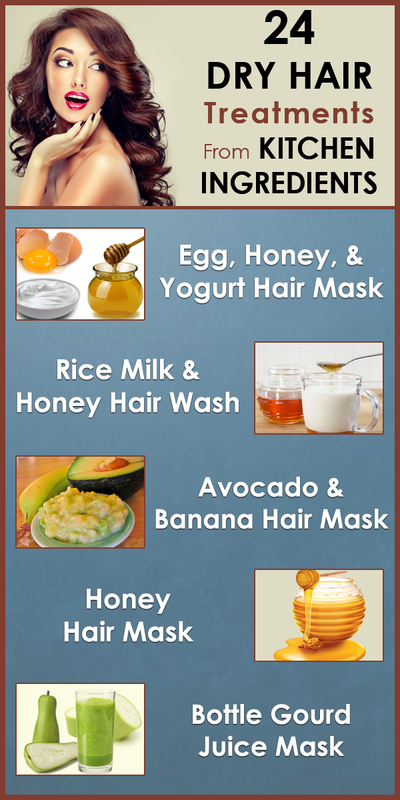 This homemade hair mask for dry hair not only cleanses your hair but also adds shine and nourishment. 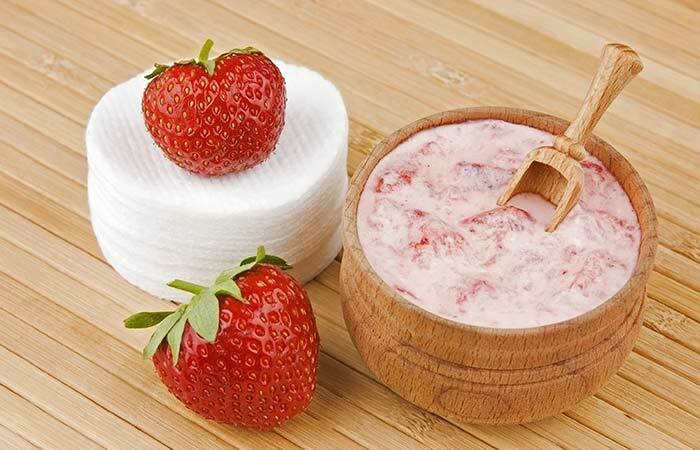 Strawberry paste works effectively to leave your hair conditioned with a rich, glossy effect. In a food processor, blend the mayonnaise and strawberries until you get a smooth, consistent paste. Cover your hair with a shower cap and wait for 15-20 minutes. Wash off with cool/lukewarm water and a mild shampoo. While strawberries are usually used in hair packs for oily hair, this pack includes mayonnaise, which conditions your hair. The strawberries remove excess oils from your scalp and make your hair silky while the mayonnaise conditions and nourishes the hair shaft. 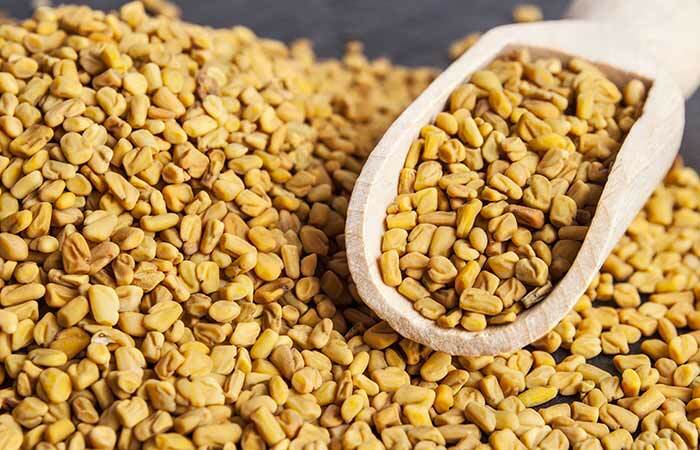 If you have been struggling with dandruff as well as dryness, fenugreek is the perfect hair care ingredient for you. Soak four tablespoons of fenugreek seeds in water overnight. In the morning, blend the seeds into a fine paste. Apply this onto your scalp and hair and leave it in for 30 minutes. Wash off with lukewarm/cool water and shampoo. Bottle gourd can be used as a refreshing hair moisturizing treatment. It conditions your hair without weighing it down and is extremely easy to use. Blend the bottle gourd until it reaches a smooth consistency. Use a cheese cloth to extract and collect its juice in a bowl. Apply the bottle gourd juice to your hair and let it sit for 30 minutes. Wash off with shampoo and then condition. Bottle gourd juice conditions your hair while adding shine. Lemon’s acidic nature makes it perfect for balancing out the pH of your scalp and cleansing your hair. Shampoo and condition your hair and then proceed to use the diluted lemon juice as a final rinse. 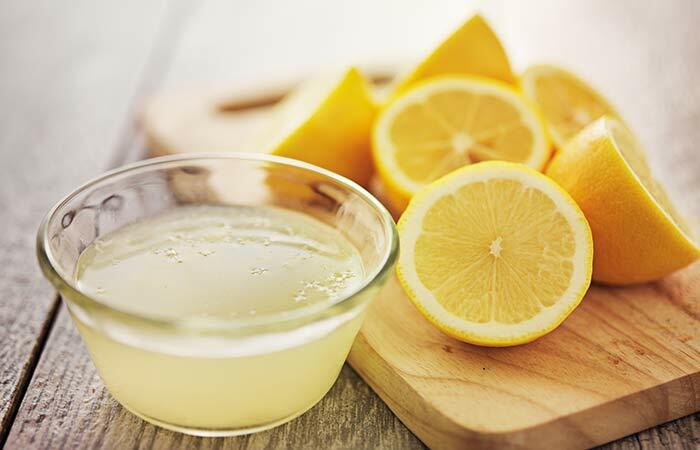 This lemon juice rinse will calm frizz and flyaways while adding shine to your hair. Don’t shampoo your hair too often. The detergents in shampoos strip away your hair’s natural oils, making it dry and causing damage. Always use lukewarm or, if possible, cool water to wash your hair as this helps seal your cuticles and minimizes moisture loss. Avoid using heat styling tools. Use a mild sulfate-free shampoo. While these may be more expensive, your hair will thank you in the long-term. Drink plenty of water and follow a balanced diet as your hair receives most of its nourishment from what you consume. 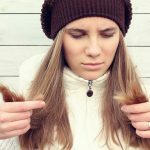 Follow these simple home remedies for dry hair and, with some patience, you will have luscious hair in no time! Have you ever used these kitchen ingredients in your hair care routine? Tell us about your experience in the comments section below. Healthy hair is often looked at as something you either have or you don't. There are many deep conditioning treatments you can try at home that are bound to improve the health of your hair.